While many consider the 20th century to be “the American Century,” this title wasn’t earned lightly. Time and again, our nation asked its sons and daughters to stand and defend its values and visions, at home and abroad. The result of this, of course, is an enormous population of veterans, many of whom are now approaching retirement or are retired. The U.S. Census brief in 2012 suggested that there are more than 12.4 million veterans over the age of 65 in the United States. Their age and their service mean that they need a suite of services separate from other veterans. Fortunately, the VA has created a series of benefits, services, and programs specifically meant for aging veterans. These include services like disability compensation, education and training, health care, home loans, insurance, and burial and memorial services. All of these services benefits are available to eligible veterans. 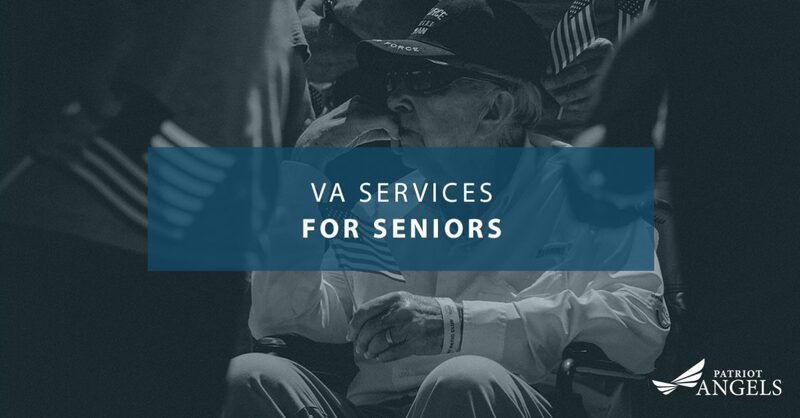 Below, we’ve outlined some of the more notable programs and services the VA offers senior veterans. A part of the VA, the Geriatrics and Extended Care Services (GEC) program is focused on improving the health and wellness of veterans who have several conditions, illnesses, are frail, disabled, aging or injured. The program is designed so those that served our country with dignity can age with dignity. The GEC offers services that are helping aging veterans live more independent lives, thereby lessening the strain on friends, family, and loved ones. Within the GEC is the Geri-PACT, a service that is focused on increasing mobility in aging veterans, as well as serving veterans who have cognitive and functional impairments. Unlike other programs that offer assistance to veterans who live in an assisted care facility, GEC is committed to helping veterans age in the comfort of their own home. They offer services like primary care, daily health checks, respite care, and hospice care. A variety of life insurance options are available to veterans, whether they are active duty, retired, or have left the military. In many cases, the life insurance that service members held while in service can be transferred with them during their transition to the civilian sector. These life insurance groups are also tailored to specific groups of veterans. For instance, Servicemembers’ Group Life Insurance Traumatic Injury Protection is meant for veterans who experienced a traumatic injury that resulted in blindness, paraplegia, or amputation. Similarly, the Service-Disabled Veterans’ Life Insurance is structured for veterans who have received a VA disability rating because of a service-related issue. For veterans who relied on the care of a spouse or child, who has since passed, the veteran may qualify for a Dependency And Indemnity Compensation (DIC). If a veteran has a disability, they may also be eligible to receive a tax-free monthly compensation stipend that can be used on special assistance needs, like a caregiver. They need help from others to carry out tasks essential to everyday living, like cooking, bathing, dressing, and using any prosthetic or health devices. They are bedridden, or due to disability, convalescence, or treatment. They are a nursing patient because of mental or physical conditions. Their eyesight is limited in both eyes and in need of dramatic correction. The pension can be added to any other stipends, pensions, or funds that the veteran is currently collecting. Are you a veteran, or do you know a veteran who is in need of additional care and assistance? The Patriot Angels are here to help. Since 2012, we’ve helped veterans and their families secure access to the VA Aid and Attendance Pension and other veteran services. Get the care you deserve, and the help you need. Contact us today.